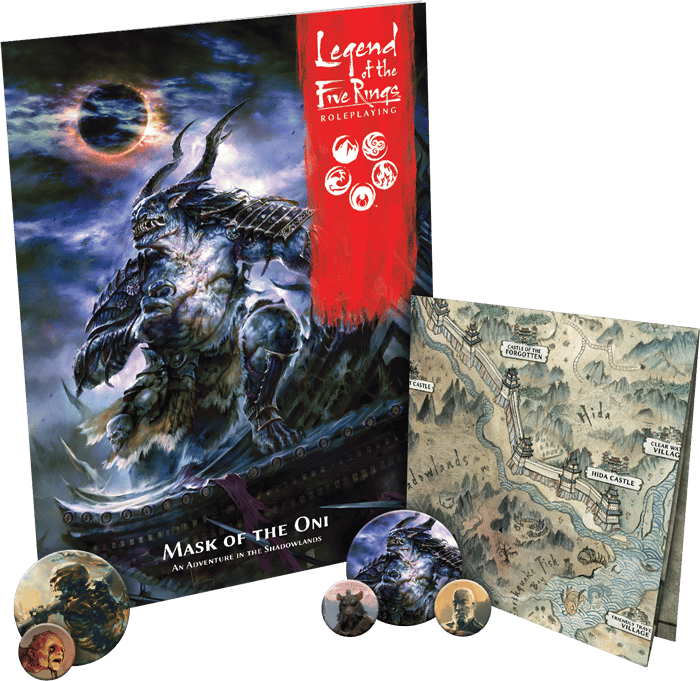 Fantasy Flight Games is proud to announce Mask of the Oni, a new pre-made adventure for Legend of the Five Rings Roleplaying! This adventure pits your samurai against the dangers of the Shadowlands and the horrors found within the crumbling walls of the Hiruma family’s fallen castle. Hot in pursuit of a dangerous bloodspeaker, your players will soon find themselves entrenched in a brand-new adventure stemming from a centuries-old secret. Tokens, maps, and an adventure booklet will guide players on their journey, but will they survive with their souls intact?